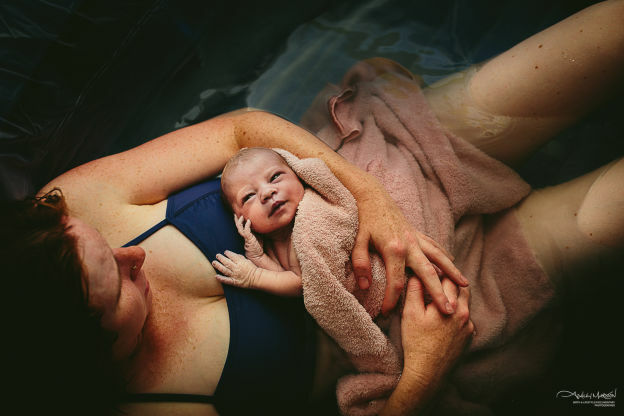 The Australasian Birth Trauma Association was established in 2016 to support women and their families who are suffering postnatally from physical and /or psychological trauma resulting from the birth process, as well as the education and support for the range of health professionals who work with pre and postnatal women. They d efine birth trauma as physically damaging birth processes which result in life-changing psychological and social difficulties, and psychological problems arising from the circumstances of the delivery or the process. This includes an ‘uneventful’ or satisfactory delivery from the professional point of view, but traumatising for the woman, who may feel unsupported or even misunderstood by the health professionals. In Australia, one in three women identify their birth as traumatic. This forum was held to raise awareness of the impact of birth trauma – and the importance of detection, prevention, support and treatment. At our meeting on 17th July, President Ian Bentley introduced the ABTA team, after welcoming DG Bronwyn Stephens and numerous visitors and guests. Any Dawes told us about her difficult birth experience and the following prolapse, then about how she helped start the Assosciation. She was followed by April Hogan, who told of her experience of epidural anaesthesia, forceps delivery with tear and post-partum haemorrhage, followed by a lack of recognition of her symptoms of prolapse and a long delay and being told all was normal, before a final diagnosis. Midwife Rachael Haywood told us about how the Assosciation was creating BT Care, a mentoring programme to assist women who had unsatisfactory physical or psychological outcomes, with various avenues of peer support. It involves dissseminating information to the public, partners, hospital staff and health care workers, and increasing ante-natal information. President Ian closed the meeting at 2.00pm, and conducted a workshop with the ABTA Team and others interested, about what assistance is required, and how Rotary can be involved. Photo: Dr Jessica Caudwell-Hall, Dr Oliver Daly, Amy Dawes, Rachael Haywood, Lana Sussman and April Hogan.